Premier Property Search are Property Consultants who specialise in the acquisition of residential property from country houses and estates to village houses and city living. We are retained by private buyers, investors, developers and corporate companies relocating their employees. 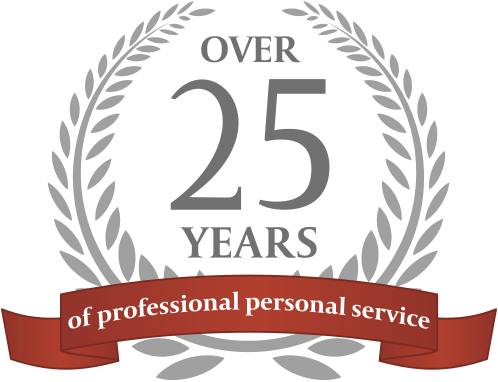 25 years experience has shown that it is our personal relationship with an extensive network of contacts that will invariably enable us to identify and secure properties for our clients before they actually come onto the market. We are an independent company and provide a comprehensive 'start to finish' service, and, importantly, our independence is fundamental to the quality and integrity of the service we offer. Premier Property Search has an established reputation for quality and reliability, a reputation that we believe gives our clients peace of mind that their selected home or property investment is the right choice. Our clients appreciate our honest approach, we inform them about what is wrong with a property or what may present a problem in the future, as well as the potential and what is right. Professional, personal service which saves our clients' valuable time and money. The profiles of our principle directors are below. Download our white paper on the benefits of retaining a property search agent. Nigel is a skilled property buying agent and negotiator with a strong track record of finding and securing off-market properties through his extensive network of contacts. "He was bold about taking us to see the house, we ended up buying. It was not immediately obvious that it was the right property but he helped us to understand the potential and the loveliness of the village. Nigel was superb through the negotiations - always cool and wise. I am not confident the deal would have worked without his input." "Without you we would never have even known about, let alone secured, what is undoubtedly a unique opportunity for us. It is exactly what we wanted and exactly where we wanted it to be. How you managed to persuade the selling agent and eventually the owner into selling it is still a mystery to us, particularly as the property was not on the open market. We have been absolutely overwhelmed by the quality of service, the level of responsiveness, attention to detail and the proficient, considered and thorough advice you offered throughout the negotiations. But above all this, you have been quite simply a pleasure to deal with and we will not hesitate to recommend your services to all of our friends and family." Barbara heads up the Corporate Relocation Sector of the business and over the last 25 years has overseen thousands of relocation assignments to the UK, ensuring the employee and their family have a smooth and stress free relocation. Working closely with HR and sourcing departments of some major corporations, Barbara ensures they are provided with information to keep relocation policies updated which is another key element for both employer and employee. Barbara's great passion is providing professional, personal service to the employee and their family. "Your quickness and effectiveness are astounding! Thank you so much!" "Thank you very much Barbara! I have been struggling with Vodafone for the past week and have not been responsive to non-work emails. I apologise deeply because this was the one thing I was looking forward to and you delivered it even before what you have promised. Grateful for your support throughout this process, that I managed to overstress myself with!"